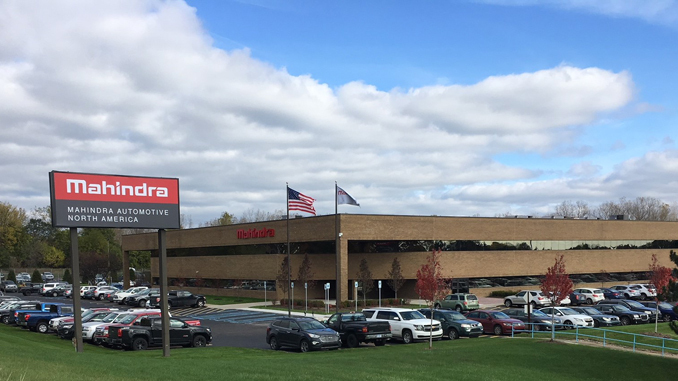 AUBURN HILLS, MI – November 5, 2017 – (Motor Sports Newswire) – Mahindra Automotive North America, with operations based in Auburn Hills, Michigan, announced today the broad-reaching efforts of a dealer recruitment campaign designed to attract powersports dealers across the U.S. and ultimately, around the globe. A new off-road vehicle launch is planned for March 2018. The new product, unlike anything on the market today, will be fully assembled and supported at the new 150,000 square foot facility in Auburn Hills and is backed by a solid, well-established organization. Mahindra has been building vehicles for over 70 years including tractors, automobiles, trucks, military vehicles, airplanes, motorcycles and more. The company is planning an official Open House this month with political and business dignitaries in attendance, as well as a dealer meeting in March 2018 where the official product will be introduced. At the dealer meeting, being hosted in San Antonio, Texas, all dealers will be presented future product plans and consumer marketing programs. Dealers interested in meeting with a district sales manager and hearing more about this new product are encouraged to contact the Mahindra Motor Vehicle Sales and Service, Inc. office based in Asheville, NC at 844-423-7677. The Mahindra Group is a $19 billion federation of companies that delivers innovative mobility solutions through driving rural prosperity, enhancing urban living, nurturing new businesses and fostering communities. It is considered a global leader in utility vehicles, information technology and financial services and is the world’s largest tractor company, by volume. Mahindra is dedicated to providing high quality vehicles to the U.S. and has invested hundreds of millions of dollars to this effort. In the U.S., Mahindra has committed more than $1.5B in investments to-date and it continues to hire American workers while expanding in both urban and rural areas. It also enjoys a strong presence in agribusiness, components, commercial vehicles, consulting services, energy, industrial equipment, logistics, real estate, steel, aerospace, defense and two wheelers. Mahindra employs over 200,000 people across 100 countries.